The student completed this lab last Wednesday when I was gone. One student needed to make up the lab this afternoon; so, I took a picture of the apparatus. The AP Physics B class does the photoelectric effect lab in the unit on atomic physics and quantum effects. I have an old PASCO h/e apparatus which is probably irreplaceable. I have students complete a series of prefab questions where they use the wave model to determine how changes in intensity and frequency affects the stopping potential and then they use the particle model to determine the same. After conducting the lab, they state which model fits their observations. They also graph stopping potential versus frequency which allows them to determine the work function and Planck’s constant. 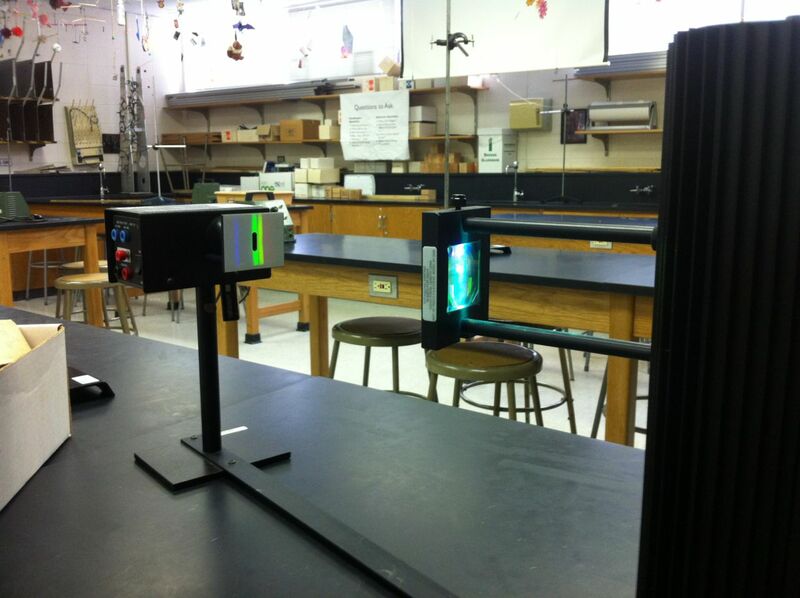 Great modern physics lab.